It is well established that Kidlet and I love Lunchbox Love notes! They are such a fun and easy way to add a little love to lunchtime! The super awesome people at Say Please are letting me give away a fun pack of lovey themed lunch notes! 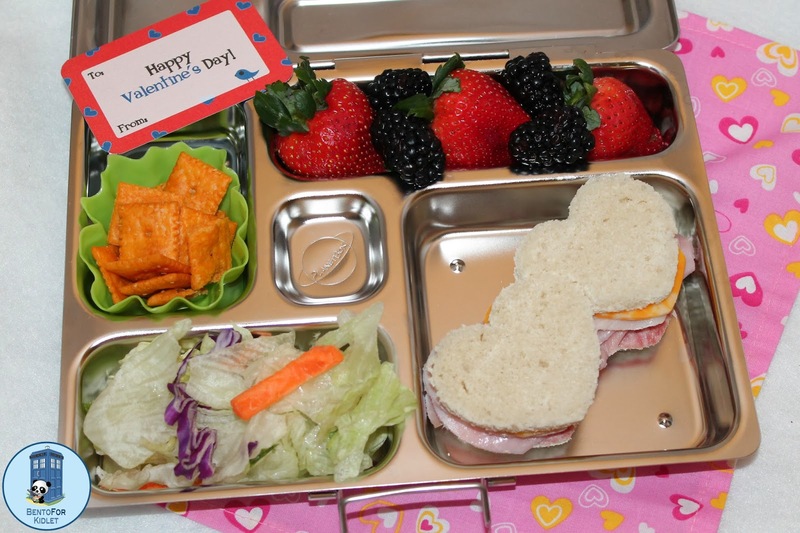 In our Planetbox Rover Kidlet has a ham, turkey, and salami double hearts sandwich, salad, cheeze-its, strawberries, and blackberries. 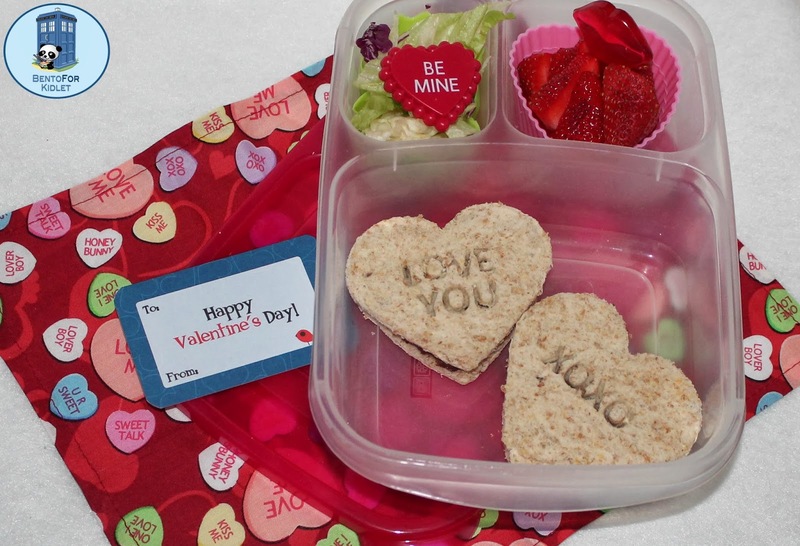 Packed up in one of our Easylunchboxes, Kidlet has two Nutella heart sandwiches, salad, and strawberries. 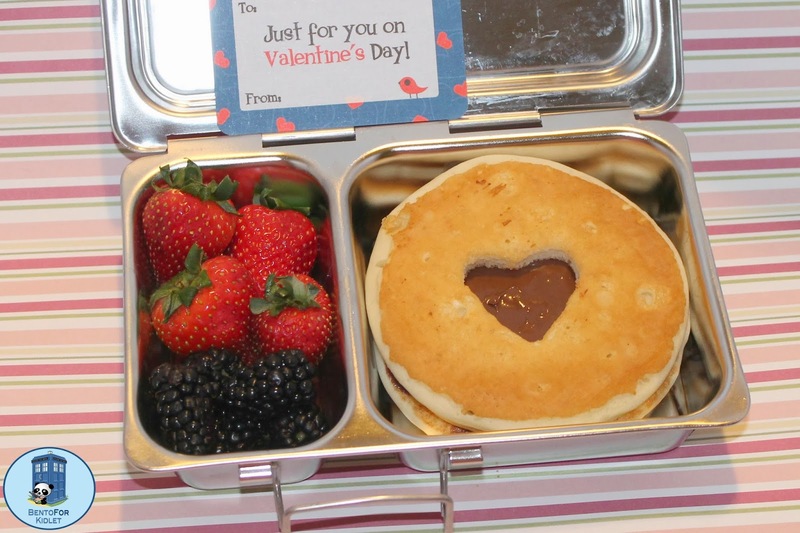 Breakfast packed in a Planetbox Shuttle is Vans Gluten Free pancakes stacked with Nutella, strawberries, and blackberries. Ready to win some awesome love notes of your own? Enter below for your chance! I love the look of the pancakes!!! Super cute!!!! The lunch in the Rover is so pretty and vibrant. Glad to see you back with new lunches. Oh, and I do love jumping on trampolines!!! Yes, we love jumping on trampolines... Love the pancake sandwich, too. I LOVE JUMPING ON TRAMPOLINES! Great line up of Valentine lunches! Thanks for the giveaway opportunity, too! Happy V Day to you and Kidlet! The images are just darling and you're never too old to enjoy a meal in a box with a pretty presentation.